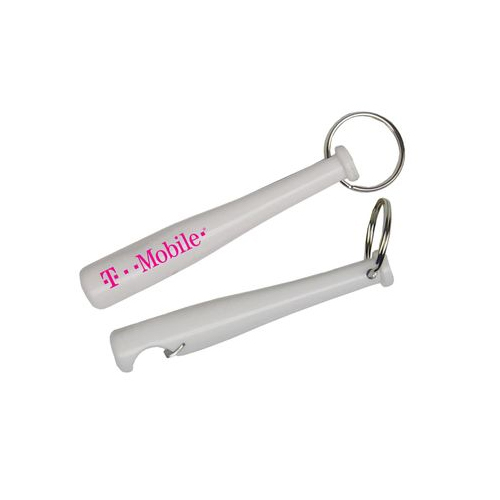 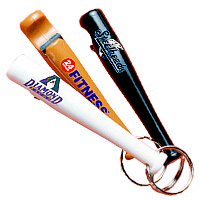 Baseball Bat Bottle Opener Celebrate America's past time. 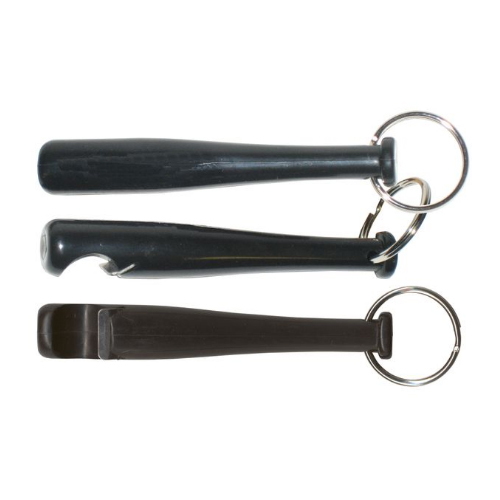 The opener is on the end of the bat with the key ring at the handle. 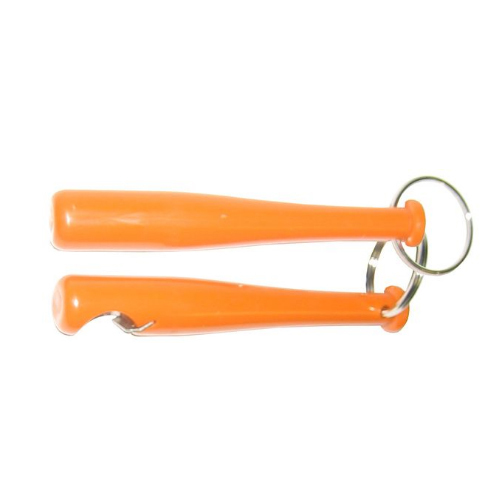 Made of plastic with metal insert.